What is Getting Things Done or GTD? This busy telecommuter practically lives in the cloud. GTD, or Getting Things Done, is a personal productivity system to help you organize and manage your commitments and responsibilities. It was developed by productivity guru David Allen and popularized in his book Getting Things Done. The goal of using a system like this is to achieve and maintain a calm, focused control of everything in your life (both work and personal) -- useful for both on-site employees and people who regularly manage or direct their own time and tasks (teleworkers, mobile professionals, and entrepreneurs). 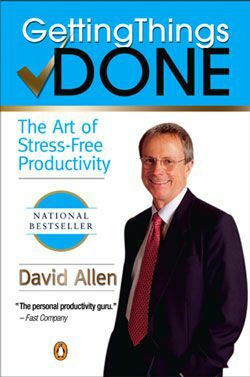 If you're interested in personal productivity or workflow systems, you should read David Allen's Getting Things Done, "The Art of Stress-Free Productivity." Whether or not all of his recommendations strike a chord with you, the book offers a lot of helpful advice for managing your time and responsibilities. Calendar: time-sensitive actions and things that have to be handled at a certain time. I use Google Calendar for this because it allows me to see appointments and get reminders while on the go; it also syncs well with Outlook. Action Lists: lists of the physical, visible actions required to go to the next step in completing a project or meeting a commitment (e.g., "Calls" or "Google Search"). If any of your commitments require more than one step, add them to "Projects" Lists. I use the online to-do list Toodledo because it has a free Android app, but others also like Remember the Milk. Or you could use paper lists or index cards. Remember, the goal is to find what works best for you. Agendas: These lists capture items that involve other people or may need to be discussed in meetings. Other special lists capture "Waiting" and "Maybe/Someday" items. Weekly or daily, refer to your calendar and lists of next actions so you can move your commitments to completion. Tickler File: A useful tool David Allen recommends is a set of 43 folders (12 monthly and 31 daily) to track time-sensitive items that need acting on. You check the tickler files daily (I use a 31-day bill payment organizer as my tickler file because I generally don't have items to attend to past one month out that can't be put on my Google Calendar. You can see the wooden bill organizer next to my external monitor in my home office photo). Consistently update and review your commitments (in your inbox and lists) so you can feel confident in how you're managing and spending your time. What I like best about the GTD system is that it is adaptable and flexible while providing some powerful organizing principles. It's pretty simple to use and helps consolidate the tasks I have to do for various work/personal commitments. And GTD is very geek-friendly, in that you can really go whole-hog in classifying items, developing hacks and customized personal productivity tools, and so on. In the end, though, what really matters most is if you gain peace of mind and productivity. A Free PC Cleaner? Is There Such a Thing?